Research and development of new technology are vital to the energy transition, as is helping policymakers and businesses make the right choices. The challenge lies in bringing both worlds together. 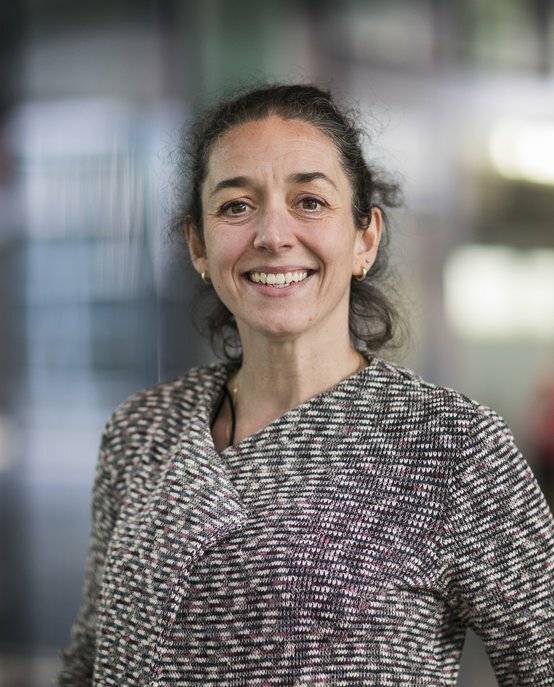 Laetitia Ouillet is the Director of the Strategic Area Energy at Eindhoven University of Technology (TU/e). In this role, she is committed to promoting programs, forming consortiums with external parties, supporting the strategic area energy lobby, connecting researchers (in campus at TU/e and also with other research institutes) shaping the acquisition of new research assignments. This includes a focus on expanding funding from tertiary sources and Dutch government and European investment programs (such as Horizon 2020). She is also Chairman of the NERA working group, an alliance between key Dutch knowledge institutes active in energy: TU/e, University of Twente, Delft University of Technology, Utrecht University, University of Groningen, FOM, ECN and TNO. Furthermore, Laetitia is director of an alliance between the universities of Utrecht (UU), Eindhoven (TU/e) and the University Medical Center Utrecht (UMCU), collaborating in the areas of porous materials, energy, vitality & sport, regenerative medicine and imaging. Laetitia Ouillet studied Economics and Applied Economics at the Université Paris Dauphine (France) and gained her postgraduate degree in Strategic Business Analysis and her Master’s in European Environmental Regulation from Lancaster University (UK). She also followed a post-academic specialization in Dutch and European Competition Law at the Grotius Academy. Ouillet has a solid track record in the energy market. She was director of corporate strategy at energy company Eneco from 2013-2016 heading a team of three corporate strategy consultants and four fundamentals analysts and designing Eneco’s renewed strategy, launched mid 2015. She is also co-founder of SQ Consult (2009), an international network of experts in energy transition, sustainability and climate policy. Previously, she also held a number of different jobs at Nuon for seven years, including Manager Strategy and Business Planning within the Marketing and Sales department and Manager Regulatory and Governmental Affairs within the Merger and Acquisition team.